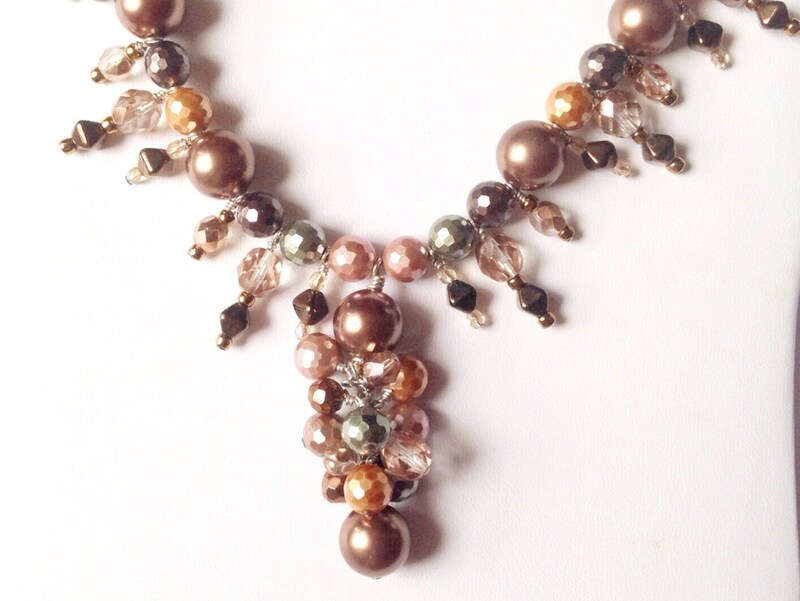 This elaborate necklace was definitely worth all the labor and love that was put into it. 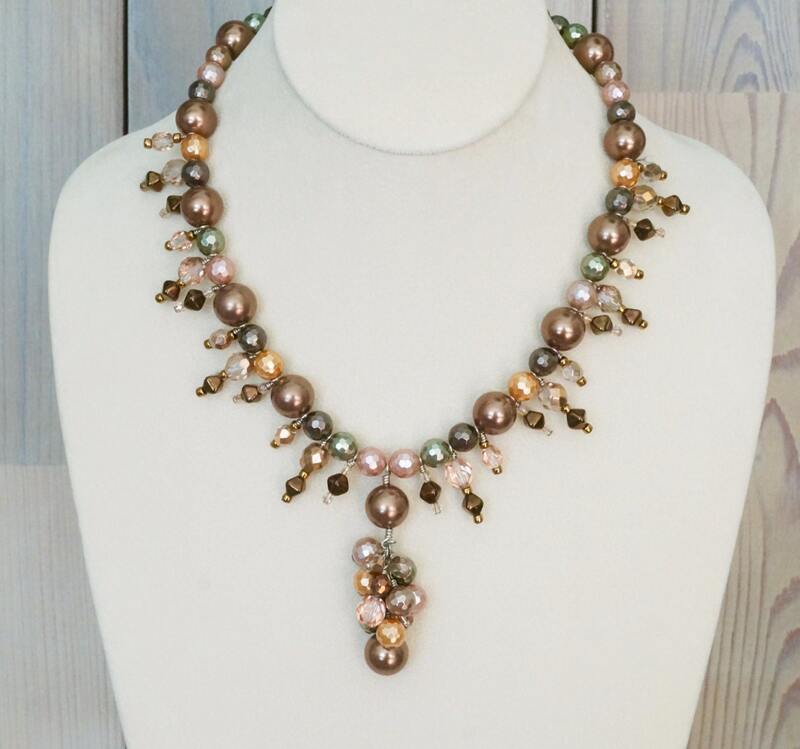 If you are not a jewelry maker you might not realize how complex this is to make, using a lot of pins to wrap and attach the beads to a chain to make the cluster. Anyhow, I love the way it came out. 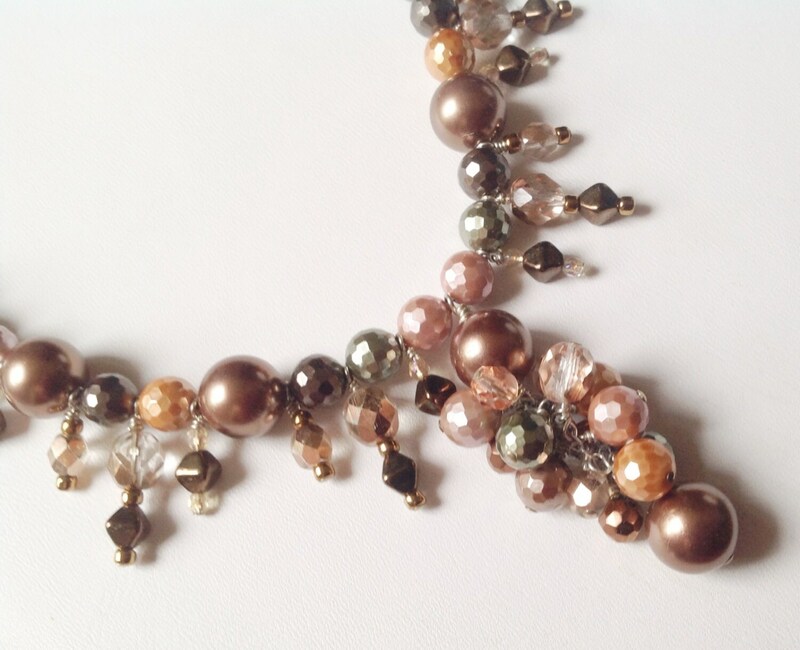 I used round shell pearls in greens, browns, tan colors, intermingling with crystals and faceted shell pearls. 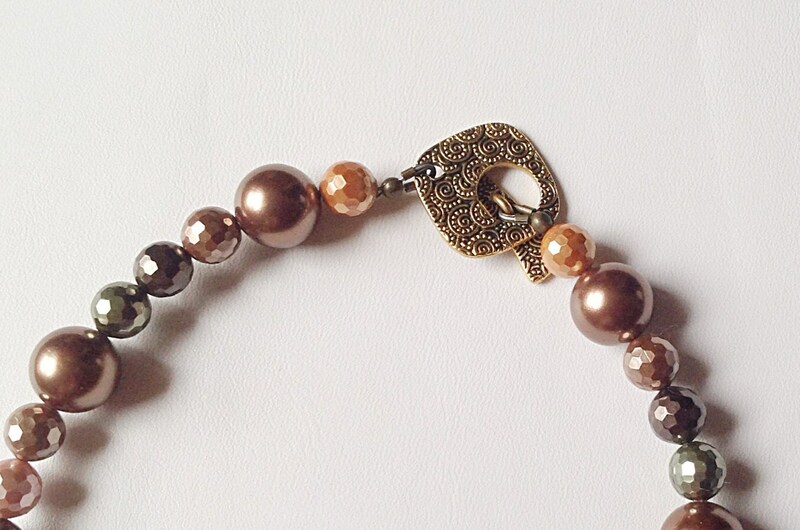 A statement piece for sure! Length is 18 inches. With the cluster pendant, it's 21 inches long.